Description This item is PH meter for your everyday PH testing. It has a wide measuring range of 0-14 PH and 0.1 accuracy. It will measure and display readings simultaneously, very convenient to use. Pen style design and LCD display with backlight, easy to carry and read, very practical. It can be used in testing water, aquarium, make-up, industrial sewage, and etc. Features - Color: Yellow. - Material: Plastic. - Size: 15.2x3x2cm. - Accuracy: 0.1 - Working temperature: 0~50 Celsius degree - Measuring range: 0.0-14.0PH - Battery: 2 x 1.5V button batteries - 0-14 PH measuring range and 0.1 accuracy, measure and display readings simultaneously, very convenient. 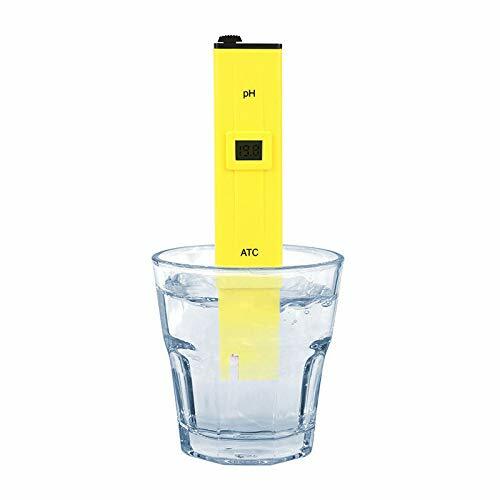 - Pen style PH meter, easy to carry and text PH on the go. - LCD display with backlight, easy to read. - Suitable for testing water, aquarium, make-up, industrial sewage, and etc. If you have any questions about this product by Aromdeeshopping, contact us by completing and submitting the form below. If you are looking for a specif part number, please include it with your message.